The new EVO-IP prompt monitor is the slimmest broadcast prompt monitor available, with a depth of just 41.5mm. Its sleek, lightweight design is perfect for productions using even small robotic camera supports and the 15” version is the most compact in the range. 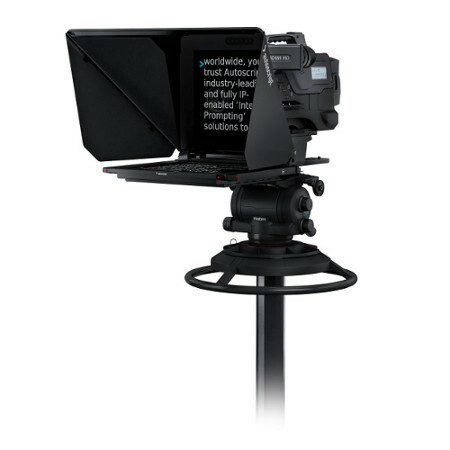 As an Intelligent Prompting device, the monitor includes IP connectivity and scroll engine functionality so that it can connect directly to the WinPlus-IP software application via an IP network; displaying smooth scroll prompter video without the need for an additional scroll engine. HD-SDI and Composite inputs are also included. 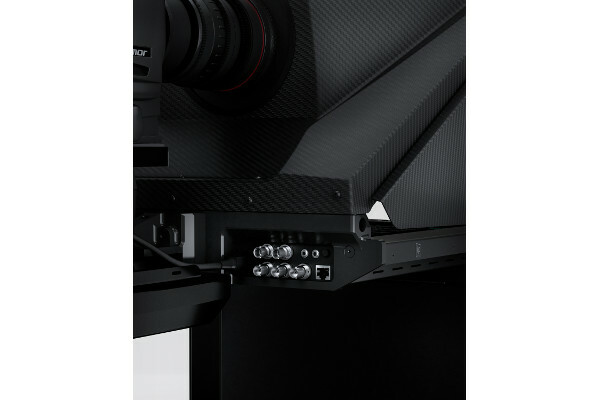 A new rear panel for all connections improves cable management, and the integral back plate houses a quick release mechanism that allows rapid attachment/detachment of the monitor to/from the Intelligent Prompting mounting system. The EVO-IP on-camera system comes with Autoscript’s new Intelligent Prompting mounting and carbon fibre hood. The complete monitor, hood and mounting assembly has been carefully calculated to minimise the number of parts, vastly improve setup time and reduce the lens opening at the back of the hood. The lens is sealed using a flexible ring, giving greatly improved access for direct control via hand grip, or for connection of pan bar z/f control. The CLOCKPLUS-IP time code, tally and camera number display (not included), can be simply attached to the front of the EVO-IP, giving an attractive, unified appearance. The EVO-IP offers a high-bright, high-contrast solution in a smart new package. It ensures the script is clearly readable in any light while improving setup time and integration into modern broadcasts. Dimensions: 400 x 317 x 41mm / 15.7 x 12.5 x 1.6"